Although the name of our company has residential in it, we aren’t limited only to working on air conditioning, heating, and indoor air quality for homes. We’re proud to provide light commercial HVAC services, from rooftop unit installations to repairs for a heating system. Whatever light commercial heating and cooling work you need done in Minneapolis, MN or elsewhere in the Twin Cities Metro Area, you can trust to Residential Heating and Air Conditioning. We started in business in 1991, and over the following two and a half decades have built a list of over 35,000 satisfied customers—including commercial businesses. We guarantee our work, materials, and people will meet your satisfaction. It’s a point of pride for us to deliver a five-star experience to all our customers. What is the principal comfort need for your business during the year? It’s almost certainly heating. When our cold weather plunges below zero, only a powerful central heating system can keep a business operating. Otherwise, the temperature would bring work to a halt, scare away customers, and cause equipment failure. We can eliminate your worries with our light commercial heating services. Looking to replace your old system? Expand on your modular rooftop units? Have a faulty heater repaired? Schedule routine maintenance? We can take care of all these jobs and many more for your light commercial heating. Hot and humid days in Minneapolis can make summer a struggle—but not when your commercial building has an excellent air conditioning system in place. We install rooftop units and other types of cooling systems for businesses, and we even offer server room and computer room cooling. Schedule your light commercial AC installations, repairs, and maintenance with our specialists today. You’ll find out why we have such a record of excellence and an A+ rating with the Better Business Bureau. Your commercial building may have indoor air quality that’s three to four times worse than the air quality outside. This is because the strong insulation on the building restricts proper fresh airflow. Improving air quality to protect the comfort and health of your space, as well as protect important equipment, is as easy as calling our light commercial HVAC professionals. 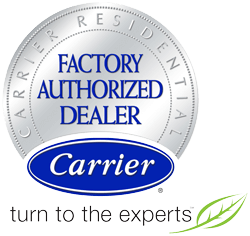 We install air purifiers, filters, dehumidifiers, humidifiers, and more. Comfort is about much more than your rooftop units, and we’re here to see that your business has the IAQ it deserves. We put as much effort into our light commercial heating and cooling services as we do for our residential services. That’s why Residential Heating and Air Conditioning accepts personal and company responsibility for your 100% satisfaction with the material and work we provide and you pay for. We believe in happy technicians and happy customers. Speak to one of our team members today in Minneapolis, MN and find out what we can do to meet your light commercial HVAC needs.